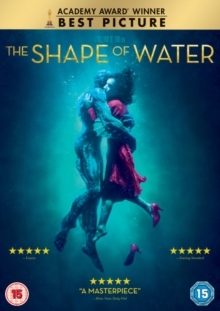 Romantic fantasy drama from film-maker Guillermo del Toro starring Sally Hawkins and Octavia Spencer. Mute cleaner Elisa Esposito (Hawkins) works in a government laboratory in 1960s Baltimore. When the lab takes delivery of a classified experiment Elisa's life changes forever. Inside a mysterious water tank is a creature that was caught in a South American river by Colonel Richard Strickland (Michael Shannon). While cleaning one day, Elisa discovers that the creature is in fact a humanoid amphibian (Doug Jones) for which she quickly develops romantic feelings. When she learns of the creature's fate at the hands of the Colonel, she sets a plan in motion to kidnap him and return him to the sea. The cast also includes Richard Jenkins, Michael Stuhlbarg and David Hewlett.